Hurrah! It's Friday again! Which means it's time for my second stab at this weekly roundup of things I liked on the Internet this week. I won't keep you waiting, because that's not what the Internet is about. Behold: New podcasts, funny videos and thought-provoking articles—because I'm multidimensional like that. Do you need a new podcast to obsess over now that season one of Serial is over? Check out NPR'S INVISIBILIA. The hosts explore "the invisible forces that shape human behavior," and just two episodes in I'm totally hooked. What if Benedict Cumberbatch was actually named Tim? Well, his voice is still silky smooth, so you'd probably like it if he approached you at a bar. What the hell am I talking about? Just watch THIS CLIP FROM JIMMY KIMMEL LIVE. Need a new Instagram follow? 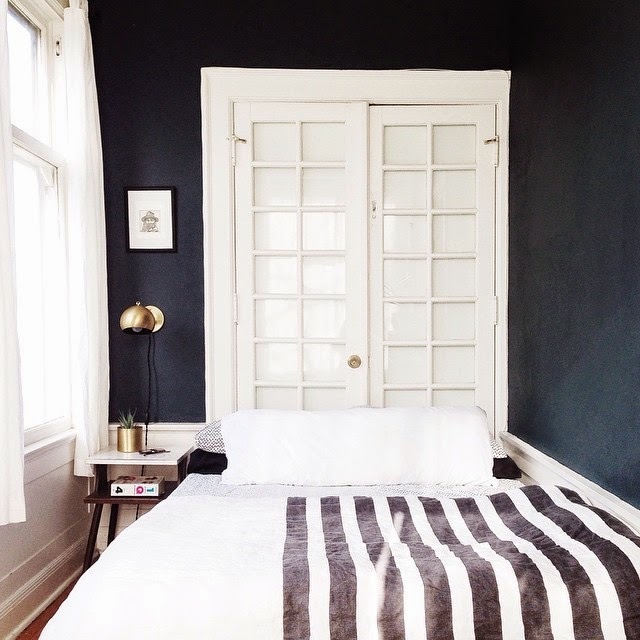 Check out Portland, Oregon-based interior designer CASEY KEASLER. I attended private elementary and high schools, then a public university, at which I was a member of a sorority. No matter your education history, these two articles on SORORITY-HOSTED PARTIES and THE PRIVATE SCHOOL STIGMA—both via The Atlantic online—are very interesting and debate-provoking. Ever wondered what A FLIPPED OVER ICEBERG looks like? Behold the beauty. My friend Grace has rebranded and redesigned her fantastic blog to be even more fantastic. Let's all give a round of digital applause for the launch of THE STRIPE. "Cover the dumb stuff really smartly and the smart stuff really lightly." — This and other pearls of wisdom and style from The Coveteur's DESKSIDE WITH STELLA BUGBEE, the Editorial Director of The Cut. This Tumblr, WHAT THEY SEE, shows us what famous works of art look at all day.